As a level 1 merchant, this restaurant franchise company is required to comply with the Payment Card Industry (PCI) Data Security Standard (DSS). The company searched for a partner to help it become compliant with the regulation in a timely and cost-effective manner. 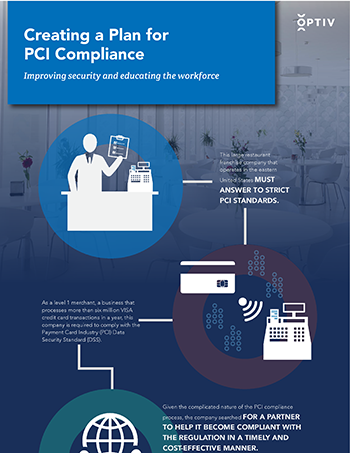 See how Optiv helped the company become PCI DSS compliant in this infographic.